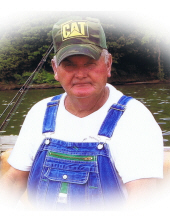 Charles Edward Mullins age 76 of Ardmore, died Friday, April 5, 2019 at his residence. He was preceded in death by his parents, Ellis and Eunice Mullins; a brother Ronald David Mullins; sister Sarah Mullins. He was survived by his wife of 57 years, Dorothy Mullins; son, Glenn Mullins of Hazel Green; daughter, Darlene Elder of Ardmore; 3 grandsons, Heath Mullins of Hazel Green, Shawn (Tiffany) Elder of Ardmore, Lucas (Cheyanne) Elder of Ardmore; great granddaughter, Shawna Elder "PaPaws Baby Girl"; brothers, Junior (Peggy) Mullins of Toney, Dwight (Marilyn) Mullins of Hazel Green, Donald Ray (Kathy) Mullins of Hazel Green, Larry Wayne (Linda) Mullins of Albertville, ; sisters, Helen Carr of Ardmore, Barbara Jean (David) Barksdale of Ardmore, Kathy (Paul) Thomas of Toney, Janice Sue (Dewayne) Wright of New Market, Jan (Abdul) Saki of Toney, Sandra Hansen of Hazel Green; host of nieces and nephews; and a very special sister-in-law, Janelle Heard. A Public Visitation will be held on Sunday, April 7th at Ardmore Chapel Funeral Home, Ardmore, AL from 4 PM - 8 PM. A Funeral Service will be held Monday, April 8th at Ardmore Chapel Funeral Home at 12 Noon with Bro. Doran Smith officiating. Burial will be in Gatlin Cemetery. Pallbearers will be Shawn Elder, Loren Brooks, Garrett Mullins, Greg Mullins, Michael Mullins and Richard McAnally. Honary pallbearers will be Heath Mullins and Luke Elder. To send flowers or a remembrance gift to the family of Charles Edward Mullins, please visit our Tribute Store. "Email Address" would like to share the life celebration of Charles Edward Mullins. Click on the "link" to go to share a favorite memory or leave a condolence message for the family.